The pier and shoreline upgrade at Burrows Park is complete. Thanks to lots of help from club members and especially Myles and Grant for coordinating efforts. The forty six pier sections have been galvanized and with twenty new deck sections and white post cap it really looks good, see photos. The shore line was upgraded too with lots more large rocks and smaller stone under the rails. Thanks to the Friends of Burrows Park and the city as they covered that cost. If you haven't been to the park recently come down and take a look at the improvements. Burrows Pier-in is canceled for this weekend, and rescheduled it for its 'rain date' of May 10, 2008. These photos were taken by Grant last Saturday Stay tuned for updates! 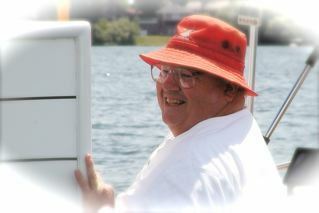 Bill (William L.) Ward did the honors on Labor Day as he christened MYC's new Race Committee boat the William L. Ward. More than 70 MYC members and friends were on hand for the official christening ceremony. Vice Commodore Dave Gorwitz welcomed us all to the event, thanking members who have been busy getting the new boat ready. Then Bill led us through a series of responsive readings and numerous toasts to Neptune and the "Race Committees of Old." Trey Sprinkman poured the champagne over the bow and placed a branch there, all for good luck and safe return from the sometimes angry seas. Watch for a complete story in the next MYC Bilgeboard. FIRST EVER MYC LIFETIME MEMBER AWARD! On behalf of the Mendota Yacht Club, the 2007 Board of Directors is pleased to present the first ever Lifetime Membership Award to Bill Ward in recognition of his contributions to our organization. This recognition has never before been awarded in the history of the Mendota Yacht Club, and is expressly limited to those individuals who have given a lifetime of volunteer service and requires unanimous consent by the Board. Congratulations Bill !!! MYC Club Historian Don Sanford has been working for the last few years trying to get the late Peter Barrett inducted into The Madison Sports Hall of Fame Club. 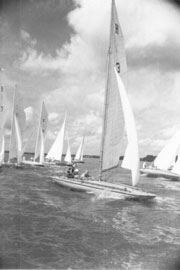 Peter was a past MYC and Hoofer member, three-time Olympic sailor and a member of the Sailing World Hall of Fame. Peter will be the first MYC member to be inducted and will be honored with others at a banquet June 5 at the Monona Terrace Convention Center. Don has compiled a great biography about Peter which you can read here exclusively on the Mendota Yacht Club website. Peter J. Barrett will be inducted into the Madison Sports Hall of Fame on June 5, 2007 at Monona Terrace Community and Convention Center in Madison, WI. 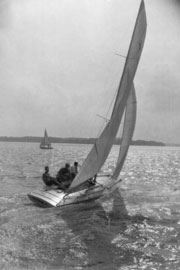 Peter joins ice boater Carl Bernard as the second sailor to earn a place in the Hall of Fame. Peter and his dad, A. J. 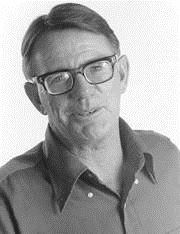 “Hunk” Barrett, comprise one of the few father and son teams in the Hall of Fame. 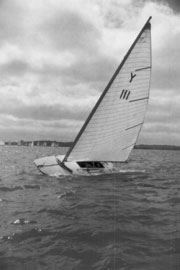 Peter was a member of the Mendota Yacht Club, the Four Lakes Ice Yacht Club, UW Hoofers Sailing Club and the UW-Madison Sailing Team. He was also a member of the Pewaukee Yacht Club and the ILYA. Peter launched his first three Olympic campaigns from Lake Mendota. In Madison, it’s not hard to meet someone whose life intersected with Peter’s. He was a guy who clearly loved his family and loved to sail and teach sailing. He was always ready to share what he knew with you. A legend in Madison in so many ways, Peter falls into the extremely small percentage of those who competed at the Olympic level and who have earned multiple Medals. He was born and raised on the east side, attended Madison schools, the University of Wisconsin and learned how to sail on Lake Mendota. Peter crossed paths with great people from all across the world of sailing during his lifetime. And, it was to many of them that I turned for letters of support or stories about him as I prepared his nomination to the Madison Sports Hall of Fame. To each of you for your letters, stories and support, my sincere thanks. Madison is a city bounded by two lakes. Practically every advertisement, banner and poster promoting Madison features our beautiful lakes usually with a sailboat or two. We do not have a fancy yacht club, community sailing center or public marina. Yet, our city has a vibrant community of sailors and ice boaters producing a stream of national champions that continues to this day. If you did not have the opportunity to know Peter, I hope that you can take a few minutes to learn a little more about Peter Barrett: sailor, businessman, educator, husband, parent and his life under sail.